Here is another gorgeous classic floral design by our designer Barbara Baatz Hillman that just pops with brilliance. 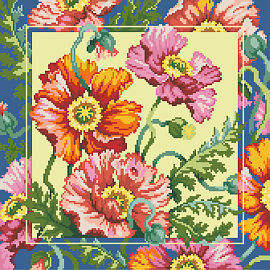 Barbara has created an explosion of color and detail to her vibrant poppies which includes her signature dewdrop. 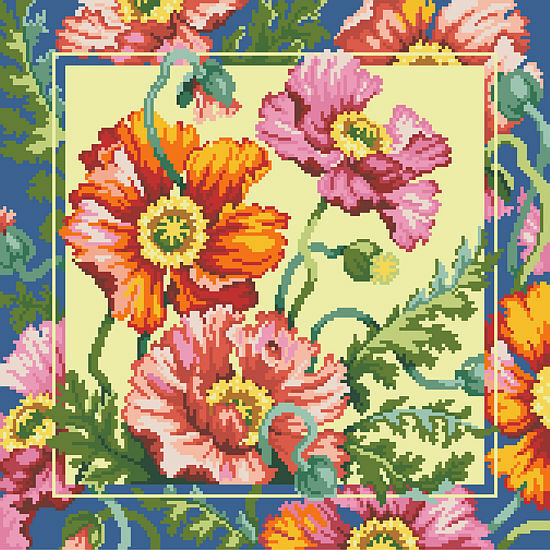 The added complimentary matching floral border makes this design stand out. This design would work equally well in needlepoint as there is no back-stitching.